Do you wake feeling well-rested in the morning? If not, you aren’t alone. In fact, the National Sleep Foundation reports 45% of Americans’ daily activities are impacted by poor or insufficient sleep at least once per week. In some cases, there may be an underlying cause to the problem, like sleep apnea. If you are among the 22 million Americans who live with it, even with sleep apnea treatment in Wesley Chapel, it may not be enough to get the rest you need. Besides an effective treatment, simple changes to your bedtime rituals can help you sleep soundly. Quality sleep is important because it impacts your mental and physical health, including your productivity, emotional balance, immune system, cardiovascular system, and weight. According to the National Institute of Health, the average adult only sleeps for 7 hours per night. While this may seem adequate, most adults need 7 to 9 hours for optimal function. To stop the tossing and turning at night, there are a few tips to help you fall asleep fast. Create a Schedule: Every day of the week, including weekends, it is best to go to sleep and wake at a certain each day. This regulates your body’s clock to make it easier to sleep throughout the night. Set a Relaxing Bedtime Ritual: Choose a relaxing activity to do before going to bed that does not include bright lights or watching TV. Many people find a warm bath or reading helpful to unwind after a stressful day. Do Not Take Naps: Power napping may help you get through your day, but you will pay the price at night. It is best to avoid naps to avoid staying awake later. Exercise Daily: Any exercise is better than none when trying to get the rest you need; however, the more vigorous the activity, the easier it is to get to sleep. Create an Environment: Your room has a large impact on your ability to sleep. Create a mood for your room by keeping the temperature between 60 and 67 degrees. Consider using blackout curtains or earplugs to limit sleep disturbances. It is also best to avoid watching TV, using your phone, or reading on a tablet. You may find white noise helpful, such as the sound from a fan or humidifier. Get Comfortable: The right mattress, pillow, and bedding make all the difference in your comfort. 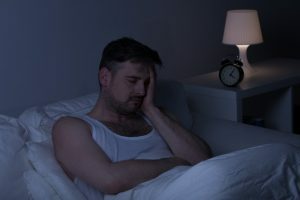 If changes to your bedtime rituals do not improve how you feel in the morning, you may need to speak to your specialist about an alternative treatment for sleep apnea in Wesley Chapel. With the right habits and treatment plan, you can get the rest you need. Dr. Jay A. Nelson is more than just a general dentist. He has also undergone additional training in sleep medicine. He offers the solutions you need for sleep apnea. If you need treatment for the disorder, do not wait. Contact our office today for an appointment.